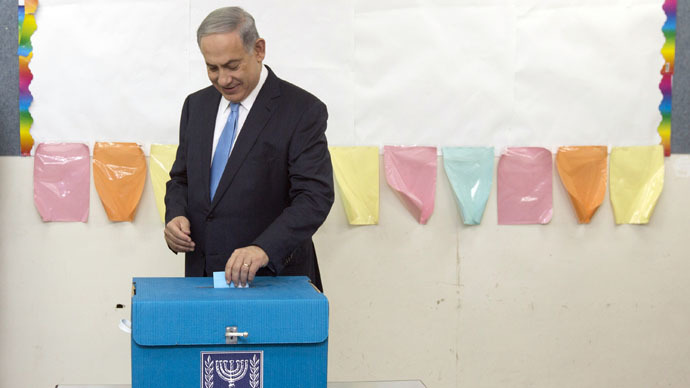 ​Israeli elections: 4th term or end of Netanyahu era? As Israelis are heading to the polls to cast their ballots for the 20th Knesset, PM Benjamin Netanyahu is seeking a fourth term in office. But the outcome is too close to call as the Likud party faces strong opposition from the Zionist Union. President Reuven Rivlin has also announced that he will strive for a national unity government. Israel’s Haaretz Daily reports that 99.5 percent of the ballots have been counted. Likud is in the lead with 29 Knesset seats, compared to the Zionist Union’s 24. The Joint List stands third with 14 seats. US President Barack Obama “remains committed to working very closely with the winner of the ongoing elections to cement and further deepen the strong relationship between the Us and Israel,” said White House press secretary Josh Earnest on Tuesday, according to the Times of Israel. Earnest added that Obama remains “confident” that he will have a productive relationship with whomever the Israeli people choose. After claiming victory for his Likud party, Netanyahu expressed the desire to form a coalition government “without delay,” inviting other right-wing politicians to join. “Reality does not take a break,” he told his supporters. Netanyahu: Now we have to build a strong, stable govt that will deal with welfare and security. Netanyahu’s main rival Isaac Herzog from the Zionist Union says that he will make "every effort" to form a coalition. Coming out of the exit polls, Herzog also told his supporters that “this result allows us to return to power”.